This guide will help you find resources about early childhood education and related subjects. Index, abstracts and full text of articles and other publications in education research. Educational Resources Information Center. EBSCOhost Interface. Index and abstracts of articles, books, and documents covering education research and practice. Educational Resources Information Center. Public Access (.gov) Interface. Index and abstracts of articles, books, and documents covering education research and practice. Published since 1962, Theory Into Practice is the fully refereed journal owned by The Ohio State University’s College of Education and Human Ecology . 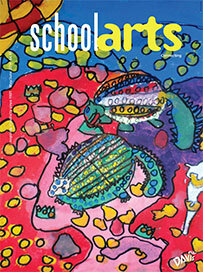 SchoolArts is a national art education magazine committed to promoting excellence, advocacy and professional support for educators in the visual arts since 1901.